Have this crop thermal in large for 3 different colours. Loveeee it. Purposely bought one size up so its extra baggy and comfy! I got this in red yesterday.It's amazing i'm definitely gonna go back and but another one in another colour. 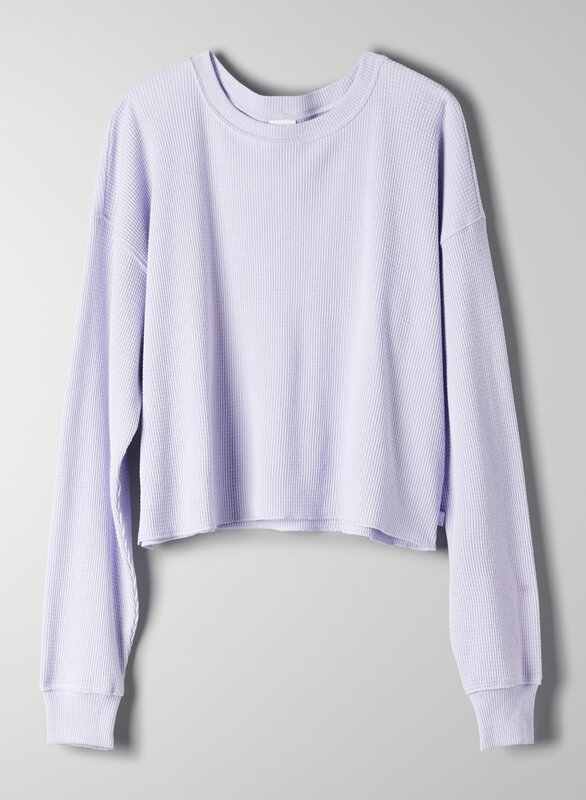 really soft and cozy cropped sweater. i got it in white and it's a bit see-through but i usually wear it over a white tee so it's no big deal. I currently have three colours and I could easily purchase more. I bought these in a size up as I prefer the boxy fit. They are so soft and the material feels like great quality. They wash well too. It’s pretty soft and comfortable. It’s very light and a little thin. I think it would hang on anyone perfectly. It was everything I expected so I was pretty satisfied. What I like about this top is it comes right to your waist. I love this waffle longsleeve, I have it in two colours. It's a good basic for all year round. 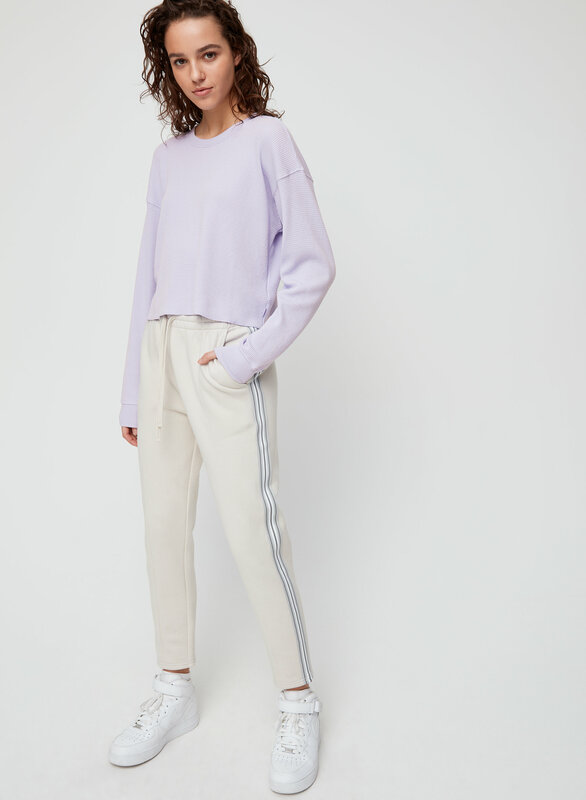 I like wearing it with high-waist pants as it in cropped. I would recommend going down a size as it stretches out. This shirt is really nice. Looks great! Super comfortable and fits how I want it too. Perfect top, just the right length, not too cropped and so cozy for the chilly season.